3 in 1 solution: Install and use 3 SIM cards in your iPhone 8 Plus. The DualSIM adapter case X-Triple 8 Plus is a triple dual SIM device which allows you to have 3 SIM cards (1x nano SIM, 1x micro SIM and 1x mini SIM) in your smartphone. 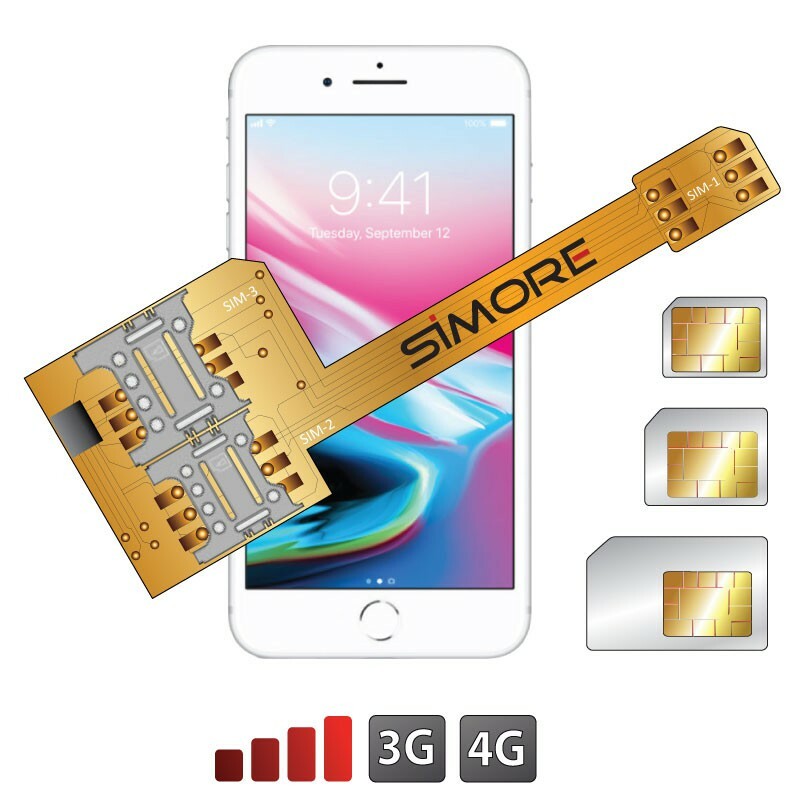 Once the Triple SIM X-Triple 8 Plus adapter inserted into your phone, the SIMore menu appears automatically in your smartphone's main menu to manage your 3 telephone numbers. The Triple Dual SIM case adapter X-Triple 8 Plus allows you to call, send and receive your SMS/MMS, access Internet and data using 3G or 4G with your 3 SIM cards on one and unique iPhone 8 Plus. With this tactile and ergonomic Triple dual SIM case, your mobile is fully protected while keeping all its available features (buttons, connectors and camera of your iPhone 8 Plus). For all persons who use several SIM cards (professional SIM / private SIM / foreign SIM), businessmen, borders or traveling, you switch between your three SIM cards depending on your desires and needs. Call, send and receive your SMS/MMS with your 3 numbers on one iPhone 8 Plus.